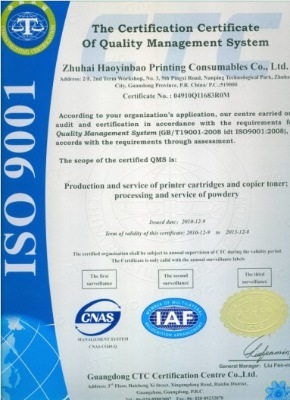 Company Overview - Zhuhai Haoyinbao Printing Consumables Co., Ltd.
9YRSZhuhai Haoyinbao Printing Consumables Co., Ltd.
HYB TONER has been in the toner business producing copier toner, printer toner, empty cartridges, and toner cartridges since 1998. With years of experience, our rich developments of self-managed toner factories and wide range of moulds for cartridges are separating us as a leader in the industry. 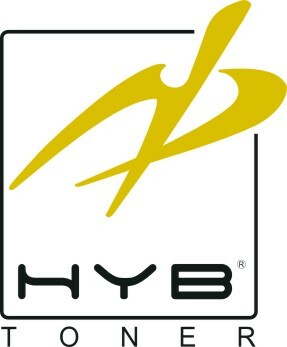 This is through offering cost-saving options, top quality, and efficient service to our customers all over the world. That is also why, thankfully, our customers are happy to always work with us. As one of the very few manufacturers who focus great devotion into development, we have toner compatible for all the important machines like KYOCERA MITA, RICOH, CANON, KONICA MINOLTA, XEROX, TOSHIBA, SHARP, OLIVETTI LEXIKON, UTAX, PANASONIC, MURATEC, ROYAL COPYSTAR, TRIUMPH-ADLER, DANKA OFFICE IMAGING, IMAGISTICS-PITNEY BOWES, Rex Rotary, Gestetner, Savin, IKON, Olympia etc. 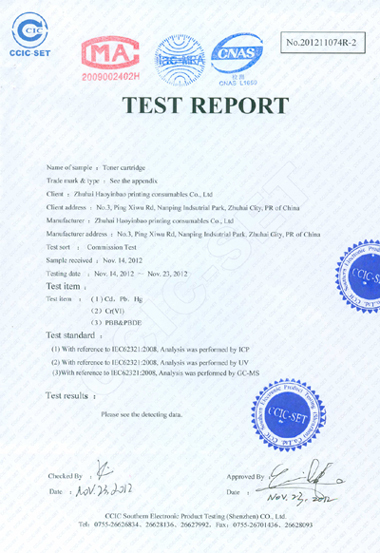 Furthermore, our supreme quality toner compatible for OCE and KIP Engineering machines are well recognized as high quality products.We adhere to a customer-oriented philosophy, and pledge to make the best quality products which is our commitment to our customers and lasting objective. 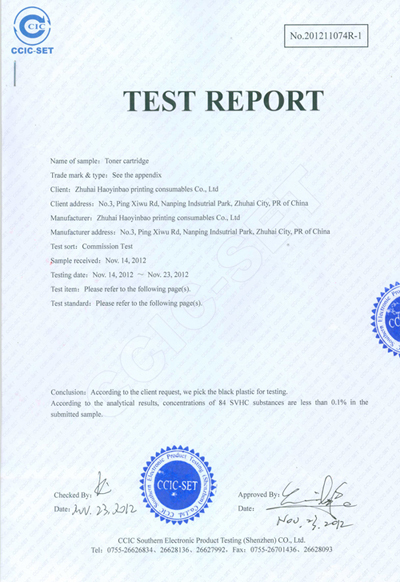 Certified by ISO 9001, we have an in-house R & D team who never stop exploring new technology in this industry.We have set marketing channels nationwide covering more than 20 provinces, regions and municipalities in China. As well as this, our products are widely used in many countries throughout Europe, Middle East, South America and South East Asia. We are committed to creating higher value for our customers with full product ranges, fast delivery and individual customer orientated solutions. 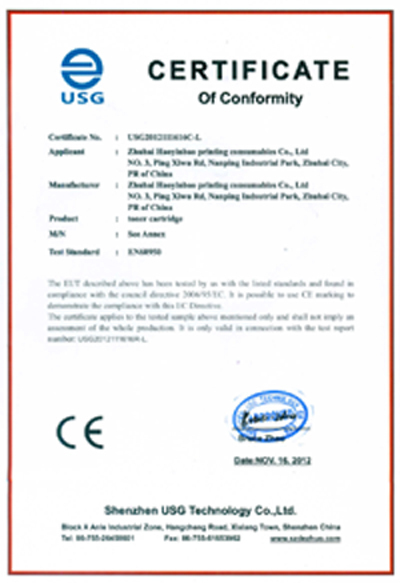 Shenzhen USG Technology Co., Ltd.
Guangdong CTC Certification Centre Co., Ltd.